Day 2 in Whitehorse! We have one more day before the start of the race on Saturday. Today Dave had his mushers meeting where all the 1000 mile race mushers are brought up to date on trail conditions, check points, vet information and so much more. 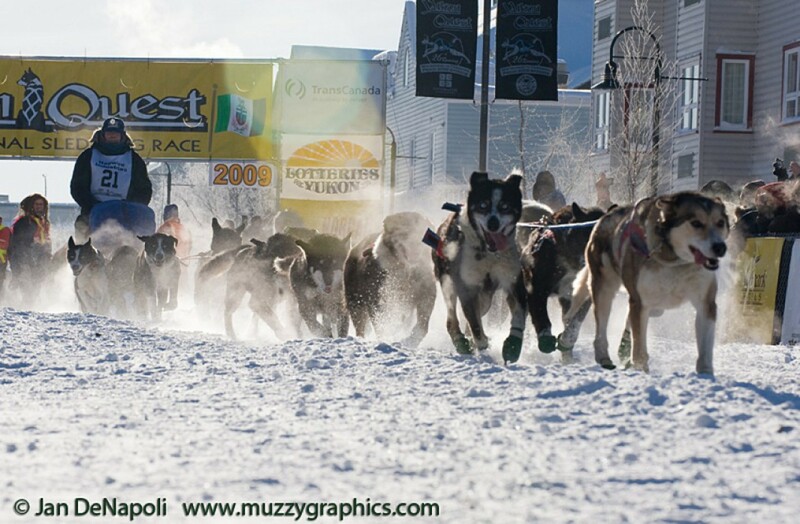 Mushers also have the opportunity to ask questions on any topic they may have concerns about. After the meeting Dave got to meet his “rider”, the person who donates to get a chance to ride in the basket of the sled, at the start of the race. This year his rider is a wonderful fan named Rhonda from Tasmania! Dave meet her back in 2015 on one of his glacier tours. Rhonda will be following the whole race and supporting the Dalton Gang!